The world’s most popular bible brought with the full British text rendered in highest quality on screen and every word read aloud by a great British actor. 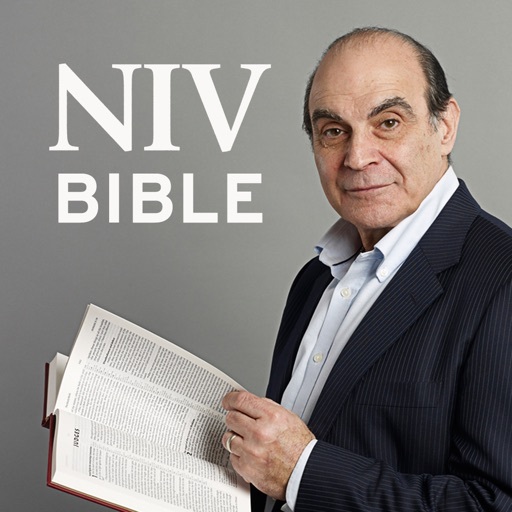 INSTALL NOTE: As this app includes the full 80 hours of audio for the NIV Bible read by David Suchet, you will need 1.3GB free space on your device for it to install successfully and downloading may take some time to complete. Simple to navigate, it’s the easiest way to read, listen to and make notes on the NIV on your iOS device – perfect for taking to church, house group or for your own quiet times. The journalling feature will help you to respond to your Bible reading with notes and bookmarks. From Hodder & Stoughton, publishers of the Anglicised New International Version. - Simple navigation: the Quick Verse Selector helps you find passages at speed and remembers your most visited places. - Clear, readable layout: the Bible text matches the printed NIV 2011 Bibles. - Full Bible text included so no need for a network connection to use any of the app features. - Full-text keyword search allows you to find all entries for a particular word in the Bible. - Short introductory reading plans to stimulate your daily Bible reading. - Well-known passages: find shortcuts to famous stories and events in the Bible. - Reading mode turns off verse and chapter numbers. - Turn off toolbars to give you an uninterrupted reading experience. - Choose to turn the words of Christ red or leave them black. - Adjust text size and brightness to make reading more comfortable. 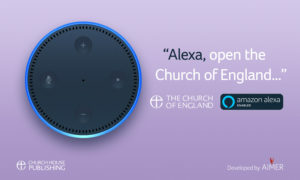 - Listen to British actor David Suchet read his award-winning recording of the Bible as you read or while multitasking. - Quick and easy to find the passage you want to listen to. - Play the audio continuously, or select a verse at a time. - Follow the verses as they are narrated by selecting ‘Highlight verse with audio’. - Turn off the audio capability entirely if you wish to use the app for reading only. - The NIV Audio Bible read by David Suchet won 'Bible of the Year' at the 2015 Christian Resources Together Awards. - Make notes next to the text as you study the Bible or listen to a sermon. - Bookmark your favourite passages for easy reference. - Notes and Bookmarks tabs list of all your entries so you can quickly jump to the one you want. - Share notes and verses with friends and family or yourself by SMS (text), email, Twitter and Facebook. With over 400 million Bibles in print, the New International Version is the world’s most popular Bible in modern English. Setting the highest standards of reliability and readability, the NIV is ideal for personal reading, public teaching and group study. Royalties from all sales of the NIV help Biblica in their work of translating and distributing Bibles around the world. This Anglicised NIV app has been developed in the UK by Aimer Media in collaboration with Hodder & Stoughton. Due to the terms of Hodder’s NIV license, the app cannot be purchased in the USA or Canada. We apologise for any inconvenience this may cause.